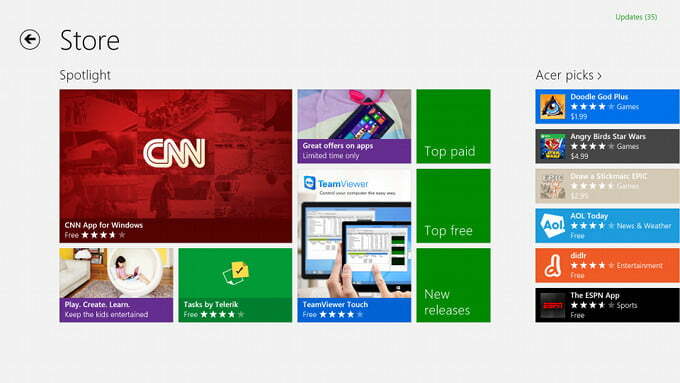 The Windows 8 app store is perhaps the most controversial feature in Microsoft’s new operating system. Windows has thrived for decades because of its openness to developers and willingness to let them take both the spotlight and the profits. Some developers – like Marcus Persson, the creator of Minecraft – have denounced Microsoft’s store as a blatant attempt to make Windows a closed platform. Microsoft may turn out to be the greatest ally of its critics. Though the Windows 8 store exists, the company doesn’t seem to care about its quality. Redmond has released a sloppy, inefficient, obtuse store that’s arguably the worst store baked into any modern OS. In short, it’s a disaster. Windows 8 is not Microsoft’s first attempt at a store. The company already created two for Xbox Live. One, Xbox Live Arcade, is a pleasant curated experience filled with games that range from playable to amazing. The other, Xbox Live Indie Games, is an anything-goes mess. Microsoft has used the latter to model the Windows 8 store. While there are some decent apps, many are shovelware. They either don’t work as advertised or work poorly. And some stand on questionable legal grounds. The first two paid apps shown in the Entertainment section, for example, are fake versions of Windows Media Player. Both use logos that probably wouldn’t pass muster in a copyright case. We’d imagine that Microsoft itself would want these apps shut down for infringement – instead, they’re the number one and number two results on its own app store. Similar problems can be found elsewhere. Two of the top 10 apps in the Photos section are nothing more than photo collections featuring attractive women (sold without the photographer’s or model’s permission, we’re sure). News & Weather is dominated by useless apps that provide far less information than websites on the same topic. And the Social category is populated by unofficial apps for every major social network – including Facebook, Pinterest, and Adult Friend Finder. While the App Store has taken flak for its closed approach, Apple should also be given credit. When Apple opened its virtual doors it took responsibility for the store’s quality. 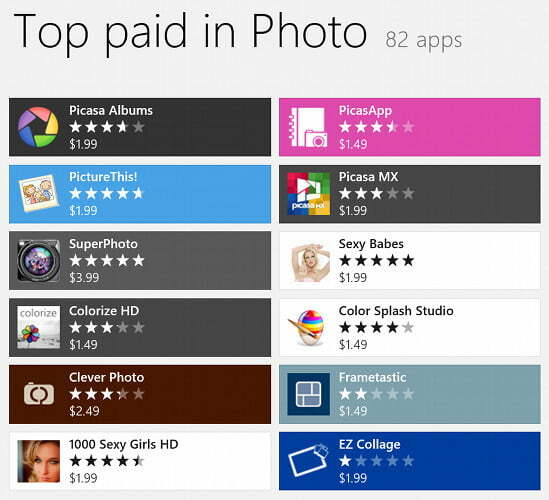 Microsoft, however, seems to view the Windows Store as a source of passive revenue. Details like quality control have been brushed aside. Apps in Windows 8 should ideally be designed for the operating system – and many are. Yet some categories, particularly games, are dominated by ports. 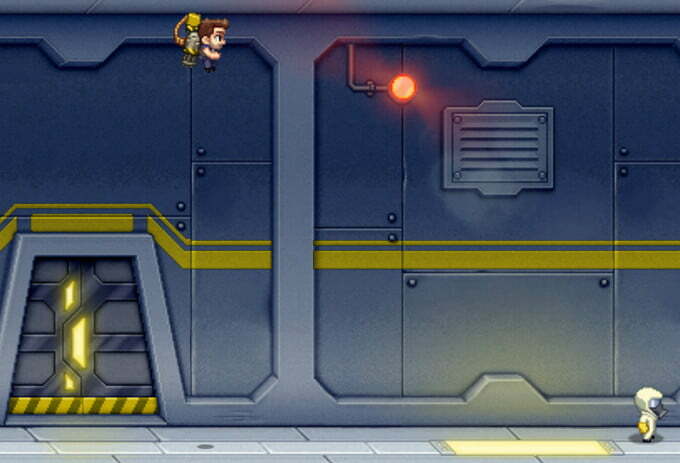 Nine of the top 10 games in the paid games section are ports from iOS or Android. The outlier is a port from the Xbox 360. Ports can be great when refined to take advantage of a new platform, but most games on the Windows 8 store don’t bother. 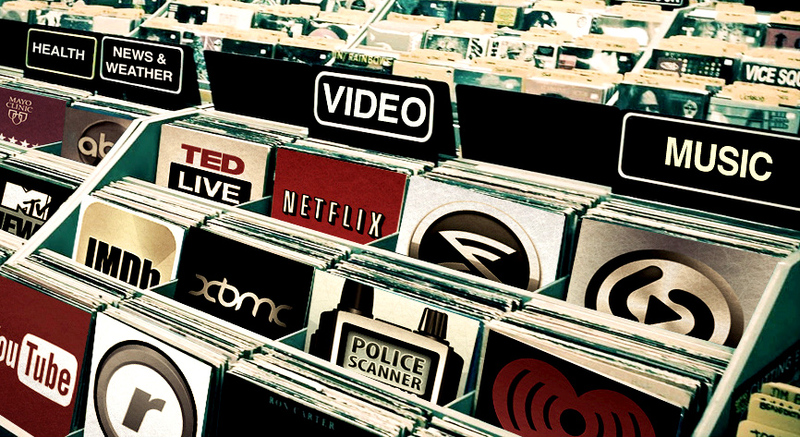 Instead, most are scaled down versions of existing smartphone apps. That means pixelated graphics, comically over-sized buttons, and simplistic touch controls that don’t work well with a two-pound tablet. Strangely, apps for the iPad – which would be a better fit – haven’t come to Windows 8 in great numbers. Some developers are using Windows 8 to cash in on their existing clout, and shame on them. But Microsoft also deserves blame. 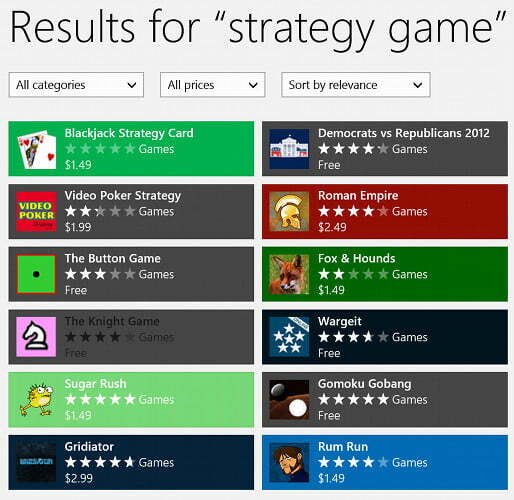 After talking up gaming in Windows 8, the company has done nothing to promote, police, or curate the games available. Top Xbox titles are absent such as Mark of the Ninja, The Walking Dead, and Fez. The proliferation of shovelware in the store’s “Top Paid” and “Top Free” lists might force users to abandon them in favor of search. Just one problem – search is terrible. Some specific searches are handled well enough. For example, typing “Netflix” gives us the Netflix app; looking for “antivirus” calls up 34 options, and most of them are from reputable developers. But other common searches return baffling results: a Blackjack app is the top result for “strategy games”; the first result for “keyboard” is a virtual piano; and only half of the top 10 results for “organization” have anything to do with the topic. Microsoft’s anything-goes attitude compounds the problem. The top social apps on the Windows 8 store may be ripoffs, but they’re nothing compared to what we found when we searched for “Facebook.” A half-hearted album uploader? Why not! Two “Facebook Lite” apps from different developers? Sounds good! An app with copyright-infringing images cropped to create Timeline covers? Awesome! Even if the content was fixed, the functionality of search would be limited. Users can refine only by category and price category (free, free and trial, or paid). Results can then be filtered by relevance, newest, rating, or highest/lowest price – and that’s it. There are no sub-categories and no fine-grain filters. Successful online stores strongly promote the products found inside, creating a perception of value and excitement. Some promotions can even be useful. Steam, for example, has a new deal almost every day as well as a prominent featured product section that rotates automatically or can be browsed at will, which makes hot games easier to find. Microsoft has ignored this principle and offers nearly no promotion in the Windows 8 store. The “spotlight” area lists only three apps, all of which are free, and two app sub-sections, both of which are filled with just a handful of options. Only one of these two sub-sections is advertised as a sale, and all the apps in that section are free. Are they normally not free? Who knows! Microsoft doesn’t bother to say. Blunders like this are made worse by the lack of new content. Spotlight promotions are rotated infrequently, and category-specific promotions suffer the same problem. There’s also not enough promoted content. Both the App Store and Google Play have numerous best-of and must-have lists, which help customers find great apps and become excited about the platform. Microsoft’s only recurring efforts are the “top paid” sections which, as already discussed, are full of shovelware. Strong product promotion would help Microsoft push subpar apps out of the spotlight, spark consumer interest, and make the store easier to navigate. Without it, the store has turned into a free-for-all that encourages developers to push out terrible apps with clever or deceptive names. We’ve noticed that our interaction with the Windows Store is dominated by swipe-to-scroll. Browsing the entire storefront on the Acer Iconia W700, for example, usually requires three or four big, sweeping swipes. That’s unusual. The front page of the App Store requires only one swipe when viewed on the iPhone 5 and the same is true of Google Play on the Nexus 7. 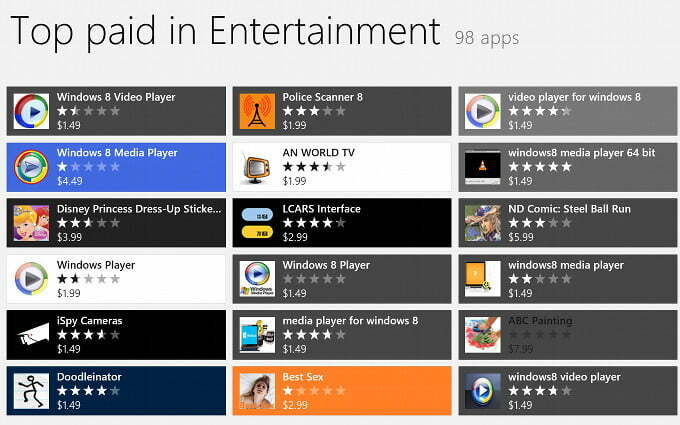 Loading the Windows 8 store always brings users to the Spotlight section (shown above, center). This, as mentioned, only lists a handful of featured apps and categories. Most devices will also display a “manufacturer’s picks” section – and that’s it. Nothing else is visible. The App Store on the iPhone 5 (shown above to the left of the Windows Store) manages to do far more with its relatively tiny 4-inch-wide display. The Featured section includes a rotating banner, a scrollable “New and Noteworthy” section, and links to two separate areas containing apps that Apple thinks will be ideal for new users. There’s also a navigation bar at the bottom of the store. 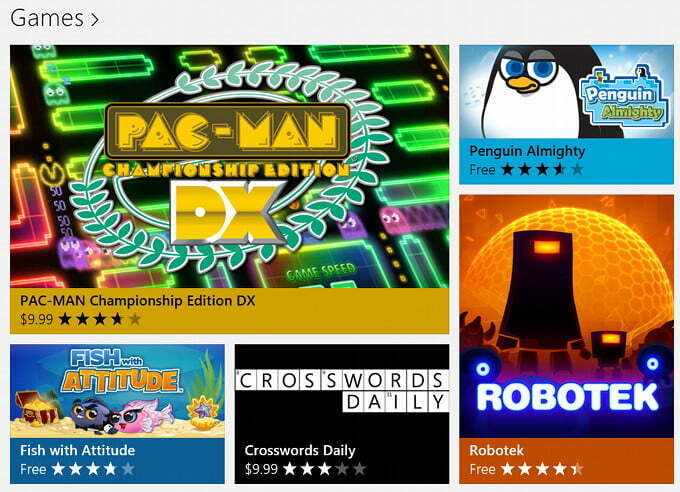 Google Play on the Nexus 7 (shown above to the right of the Windows Store) does even more. Every category in the store is presented immediately. There’s no need to scroll at all, and Google still finds room for three featured promotions. The Windows 8 store is designed as if it’s a retail store with only one aisle. Oh, you’re looking for men’s clothing? That’ll be 300 yards straight ahead, on the left, past the frozen foods. When we say that the Windows 8 store is a disaster, we mean it. Things could only be worse if the servers that run it caught fire, though even that would give Microsoft a chance to start over. The store fails by almost every measure a store should be judged, including selection, quality, and organization. Microsoft is proud of this? Really? The current incarnation of the store sells apps with deceptive names, apps that infringe on copyright (including those owned by Microsoft), and apps that are straight ports from mobile platforms. There’s nothing to be proud of. This is why the company is difficult to take seriously despite its healthy profit and strong position in the PC market. How does such a spectacularly terrible service manage to slip into the world’s most popular operating system? Was no one paying attention? Did no one care? We don’t know the answers to those questions, but we do know that Microsoft needs to find them. The future of the company depends on it.